An exceptional excursion which allows us to discover the various aspects of Antigua: the morning on the beach, lunch using typical products, the afternoon enjoying breathtaking views and the island's historic buildings. Our day begins on one of Antigua's most beautiful beaches, on the south-western coast of the island, where we can turn to one of our preferred activities: a little relaxation on the beach, swimming in the island's crystal-clear waters, snorkelling (equipment not included), taking a stroll or sunbathing. All the while, before us an intoxicating panorama which we can but only appreciate. After enjoying a nice lunch using typical products, we will leave the beach in the early afternoon and begin our trip across the spectacular landscape which Antigua's mountains provide, dotted with small, traditional villages. Once we arrive at the splendid southern coast, we will stop at the historic fortification of Shirley Heights, where we will visit the remains of an 18th Century English military complex which stands on the top of a hill, at 150 metres above sea level. On particularly clear days, it is possible to glimpse the nearby islands of Guadeloupe and Montserrat. 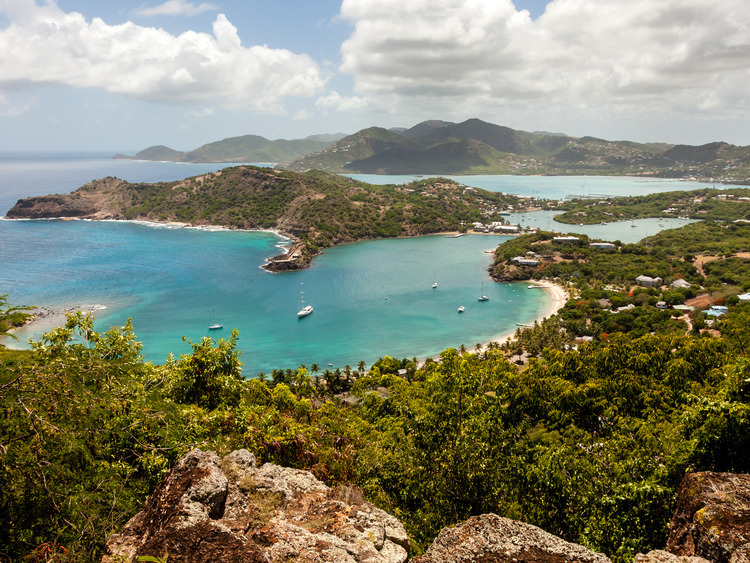 Our excursion proceeds in the direction of Nelson's Dockyard, the largest historic site on the island which is also the major tourist attraction in Antigua. Chosen because of its strategic position, this shipyard was built as a base for the British Navy in 1725. After being abandoned in the 19th century, the shipyard was restored in the mid-20th century and renamed "Nelson's Dockyard" in honour of the English Admiral and hero of the Napoleonic wars. We can walk amongst the fascinating buildings rich in history, which, after the restoration, presently accommodate, an art gallery, a museum, artisan stores and restaurants. Snorkelling equipment provided by the Turner's Beach Bar is limited and subject to payment. * We recommend you bring your own equipment with you. Order of the walking and bus tours may be reversed.